Named in honour of our hero, the brilliant cannabis advocate, researcher and author Dr. Lester Grinspoon, this is a pure heirloom Sativa. The plant grows thin and tall, and requires a longer flowering time. When mature, the colas look like compact, green and red-brown beads, loosely strung on thin stems with a dusting of THC crystals. The fragrance off the buds is of sumac and lemon; the smoke is light and tangy with citrus and tropical fruit aromas. 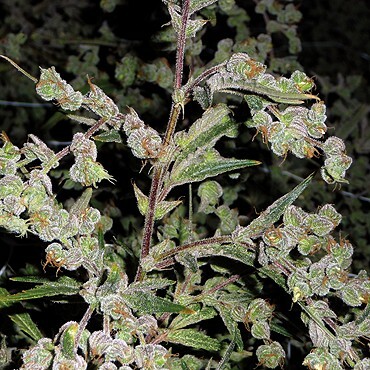 Dr. Grinspoon offers a strong, long-lasting, energetic and cerebral high. Old school Sativa of the highest order. Click the button below to add the Barney's Farm Dr Grinspoon Feminized Weed Seeds | Cannabis Seeds to your wish list.